EIA campaigners will be in Geneva on Monday for the week-long 69th meeting of the Standing Committee (SC69) of the Convention on International Trade in Endangered Species (CITES). The Standing Committee plays an important role under the CITES framework. While all CITES Parties meet once every 2-3 years (Conference of the Parties, or CoP), the Standing Committee generally meets on an annual basis to provide ongoing policy guidance to the CITES Secretariat as well as overseeing the implementation of the Convention and recommendations adopted at the CoP. .At CITES CoP17 in South Africa last year, Laos announced its intention to phase out tiger farms and recommendations adopted at the conference called for urgent measures to improve the law enforcement and criminal justice response to illegal wildlife and timber trade in Laos. Progress in Laos has stalled. The Government needs to act faster and make use of financial and technical support to conduct a thorough and transparent audit of tiger farms and stop any further breeding as a first step to phasing them out. EIA supports the recommendation for the creation of a committee of experts to advise Laos, but urges the CITES Standing Committee to call for time-bound action. We will also be urging Laos to prohibit – by SC70 in Sochi, Russia, next October – all legal domestic trade in ivory from wild or captive African and Asian elephants, and to shut ivory stores and processing factories. Finally, we will be supporting moves to maintain the suspension of commercial trade in specimens of Siamese rosewood Dalbergia cochinchinensis from Laos, including finished products such as carvings and furniture. The parts of more than 1,700 tigers and 4,800 leopards have been seized in trade since 2000 and Asian big cat populations continue to decline. EIA is concerned about the general lack of urgency reflected in the agenda items for Asian big cats. CITES Decision 17.229 called for a review of Asian big cats in captivity plus illegal trade through Asian big cat captive facilities and the identification of steps to combat this. We are calling for urgent implementation of this Decision using information already publicly available. 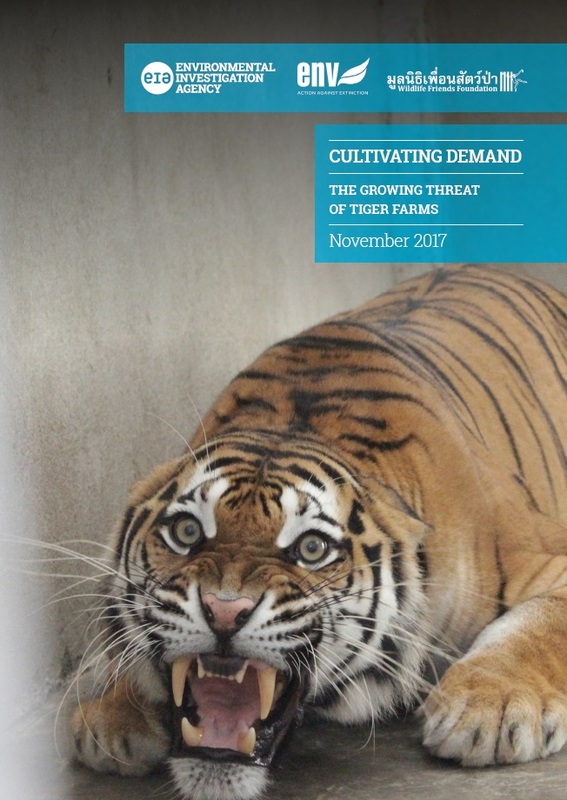 To feed into this process, EIA has launched a new report for SC69 which provides examples of facilities in China, Laos, Thailand and Vietnam implicated in tiger trade. India has established a photographic database of unique tiger stripe patterns from camera traps in India, Nepal and Bangladesh, a valuable opportunity to identify the origin of tigers found in trade in consumer countries and for cooperation to combat transnational criminal networks. Countries where tiger skins are seized or found in trade in markets and online have so far failed to cooperate. EIA calls on SC69 to urge all Parties to share images of seized tigers and those Parties where there is legal and illegal trade in skins of captive-bred tigers to establish stripe-pattern profile databases. We will be urging all Parties to provide funding to continue a review of the implementation of a CITES Resolution regarding conservation of and trade in tigers and other Asian big cats. This review us urgently required as the unchallenged and growing demand for big cat parts and derivatives in Asia is not just driving poaching and trafficking of Asia’s big cats but also jaguars and African lions. At SC69, EIA will be encouraging CITES Parties to ensure that the recommendation adopted at CoP17 to close domestic ivory markets is implemented without delay. At CoP17, EIA participated in negotiations resulting in the adoption of the National Ivory Action Plan (NIAP) Guidelines which established a mechanism to independently assess progress made by source, transit and destination countries implicated in ivory trafficking. At SC69, we are calling to ensure that the NIAP Guidelines are fully implemented and that independent experts are consulted in evaluating progress made by countries of concern. 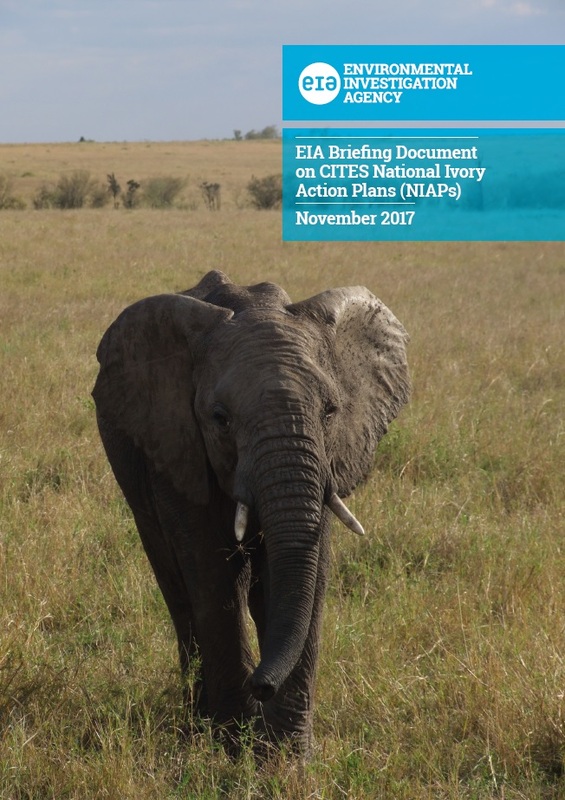 EIA has produced a briefing document for SC69 which demonstrates how countries under the NIAP process still have a long way to go to effectively tackle the ivory trade; it is critical they have in place comprehensive action plans and expedite their implementation. We are very concerned that Japan and Singapore have so far been kept out of the NIAP process, despite their major role in the illegal ivory trade, and call for both to be identified as Parties of primary concern under the NIAP process. EIA is further concerned about Burundi’s ivory stockpile entering illegal trade and calls for trade suspensions against Burundi while encouraging the country to destroy its stockpile as a matter of urgency. 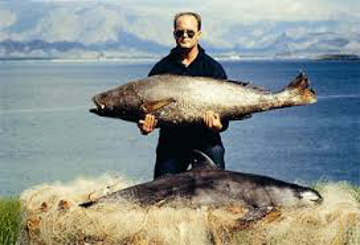 Despite this year’s trilateral meeting of Mexico, China and the US agreeing a series of actions to crack down on totoaba fish poaching – which is killing the critically endangered vaquita porpoise – no action appears to have been taken since in the Upper Gulf of California. EIA’s new briefing provides an update on the status of the vaquita and the ongoing illegal trade in totoaba that is driving the species to extinction. Recent enforcement efforts undertaken by the US, Mexico and China have resulted in just a handful of convictions, and none in China – the key destination for totoaba produce. EIA investigations continue to document the availability of totoaba on Chinese markets (including online), and the criminal networks operating in Mexico and around the world that are engaged in the trade. We urge all range, transit and consumer States to significantly and immediately increase intelligence-led enforcement efforts that will lead to seizures, arrests, prosecutions and the dismantling of criminal networks responsible for the illegal totoaba trade. We further urge Mexico to increase enforcement at sea, strengthen its permanent ban on gillnet fishing and ban the possession, sale and manufacture of gillnets. EIA is urging SC69 to note that there is no evidence of meaningful progress by Madagascar in implementing its Action Plan, particularly requirements regarding stockpile security, enforcement measures against illegal trade and conviction of illegal timber barons. We also call on it to uphold the embargo on exports in these timber species until CoP18, due in 2019, and reject the business plan for stockpile disposal.